Ralphs – The Ralphs prices assume coupon doubling up to $1. Chief Family Officer shares the Ralphs coupons including Chips Ahoy are $0.99 when you buy a gallon of milk, Idahoan Potatoes for as low as free, General Mills cereal for as low as $0.99, and Duncan Hines Cake Mix for $0.25. Publix – Southern Savers is reminding readers that Publix will be closed on Christmas Day. So the Publix grocery coupons from last week are continuing through Christmas Eve. Other highlights include free Zephyrhills Sparkling or Deer Park Water, Breakstone’s Sour Cream for $0.84, Kraft Mayonnaise or Miracle Whip Dressing for $0.44, and Chinet Dinner Napkins for $0.07. ShopRite – Living Rich With Coupons posted this week’s ShopRite coupons. Highlights include free Poland Spring Sparkling Water, Dole Salad Kits for $1, Emerald Trail Mix for as low as $0.34, Barilla Pasta for $0.69, and Smucker’s Preserves for $0.99. Stop & Shop – Look for this week’s Stop & Shop couponson Friday, the beginning of their sale cycle. Or shop by Thursday for this week’s sale, including Swanson Broth for as low as $0.45 each when you buy five after coupon, Hunts or Rotel Tomatoes for as low as $0.33 each after coupon, and Better Oats Oatmeal as low as $0.33 each after coupon. 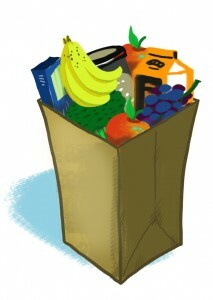 Wegman’s – This week’s Wegmans coupons and deals will be up later today. Kroger – Faithful Provisions shares this week’s Kroger grocery coupons, including Philadelphia Cream Cheese for $0.50, Idahoan Potatoes for $0.75, Stove Top for $0.49, and Colgate Toothpaste for $0.25. Trader Joe’s – Healthy Life Deals shares this week’s Trader Joe’s deals, including D’ Anjou Pears $0.79 each, TJ Organic Rice Milk for $1.69, Avalon Lavender Lotion for $1.99, and Ricola for $0.49. Albertsons – Save at Home Mommy shares the Albertsons couponsthat are good till Christmas. The deals are the same as last week’s but here are some other highlights including buy one, get one free Chef’s Trim or Signature Boneless Skinless Chicken Breasts, Tenders or Thin Sliced Breasts, Cool Whip Whipped Topping for $0.99 after discount, and Del Monte Fruit, or Stove Top Stuffing for $0.99. Giant Eagle – Lady Savings shares this week’s Giant Eagle coupons later today. I dont see any matchups here? Just link to other sites. Am I missing something? @Abby We only highlight the best deals. You can click on the links to view the complete matchups.